Compiling a list of the 15 best golfers of a generation and labeling it the 'Tiger Woods Era' might seem slightly disrespectful to the other 14 golfers on that list. But how else do you really define a period of time that brought such formidable sporting dominance from one man? Several things happened in 1996 that marked an epoch in golf. Faldo won his final major. Norman blew up one last time and begin his descent from the pinnacle of the world rankings the following year. Seve failed to make an impression on world golf for the first time in 20 years. And Tiger Woods' turned pro and changed everything. From then on, any golfer who aspired to win major titles needed to raise their game just that little bit higher. So, exactly who went along with Tiger for the ride? That question is the basis of this article. There are no prizes for guessing who is top dog in this lexicon of greatness. Never will a list in ascending order produce less anticipation for the revealing of the number one spot. But we ain't here to pick a solitary winner. This is a list of champions. It charts the best of the best: golf's finest practitioners in the sunset of the last millennium and the dawn of the new century. For the purpose of this article, we'll define the Tiger era as 1996 to the present day. Many would argue that this era came to a close in 2008 or 2009. But Tiger still prowls menacingly in the world top ten. Few sports fans would be foolish enough to bet against him adding to his tally of 14 major championships. In 2012, he is still golf's biggest draw and its highest earner. 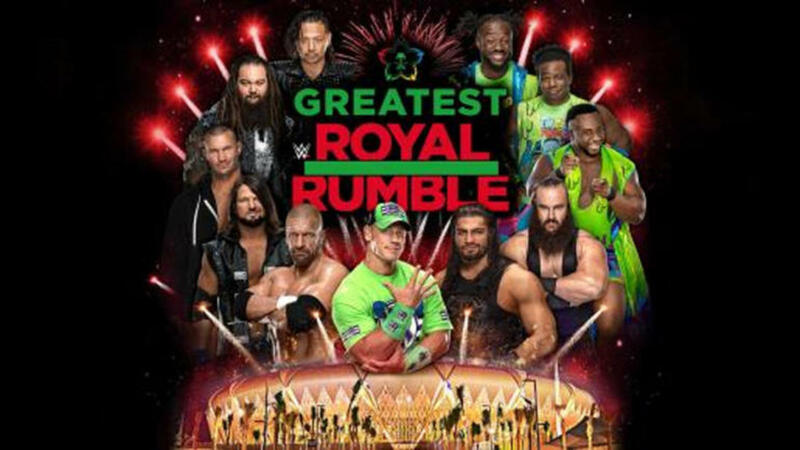 His dominance may be dead, or on hiatus, but the era continues. You might wonder how one goes about compiling such a list? 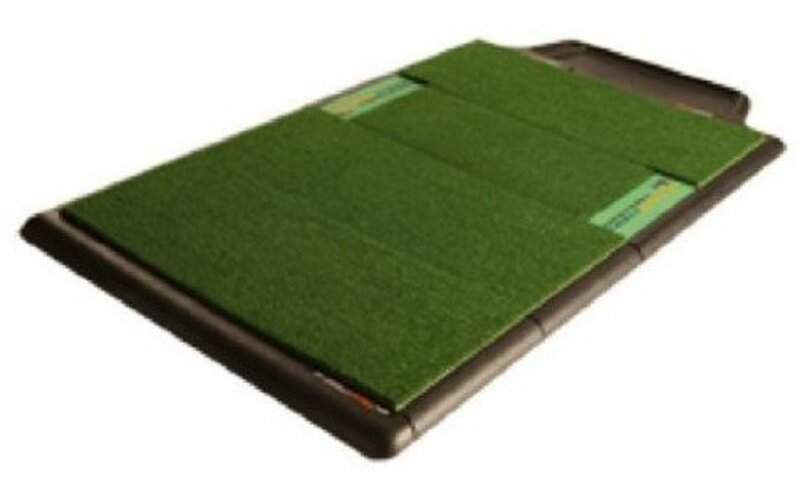 Certainly it is not based on an exact science, although we have numerous criteria at our disposal such as major victories, world golf ranking standings, tour victories and money won. A very high degree of subjectivity is involved. Perhaps you disagree with some of my choices? Please leave your opinion in the comments section at the end. A slightly controversial choice at #15 given his relatively recent appearance among golf's elite. But despite having only been a professional since 2007, Rory McIlory has already sealed big wins on the US and European Tours and generated comparisons with the younger Tiger Woods. The manner of his victory in the 2011 US Open at Congressional was stunning. Only two months earlier at the Masters, McIlroy squandered a four shot lead in the final round. The green jacket had dangled tantalizingly close that Sunday afternoon but was snatched away as his swing and concentration disintegrated on the back nine at Augusta. The cruel nature of his Masters blow-up left many commentators pondering how long it would take the young star to recover. Few would have expected him to bounce back at the US Open with such assurance. His eight shot victory was undoubtedly the performance of the year and perhaps the greatest four rounds of golf since Woods left the entire field competing for second place in the 2000 US Open at Pebble Beach. In March 2012 McIlroy topped the World Golf Rankings for the first time, becoming only the 16th man to reach such giddy heights since the inception of the official ranking system in 1986. He is also the second youngest behind Woods. If fate has nominated a successor to Woods, Rory McIlroy is the likely candidate. There could well be a sequel to this article in 2025 titled: "The 15 Best Golfers of the Rory McIlroy Era". But let's not get ahead of ourselves. Golf can be a cruel sport and many a young star has been chewed up by the professional game. 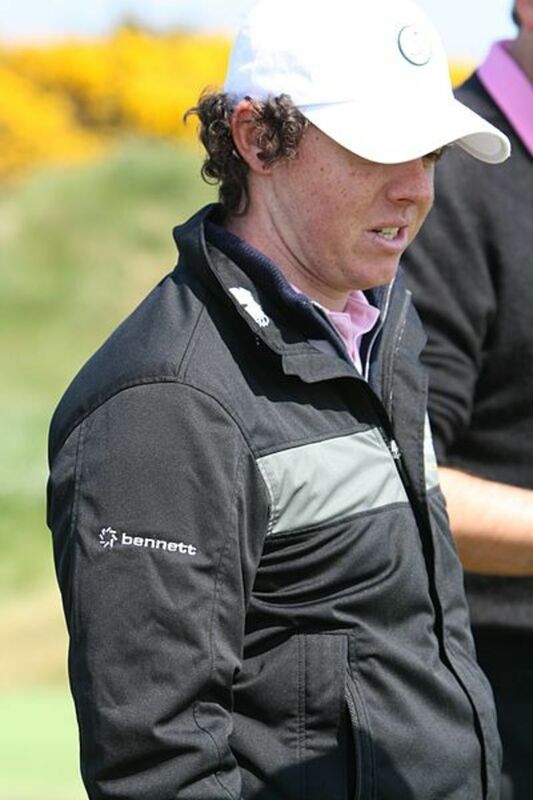 But with McIlroy's ball striking talent and self-assurance, he should be among the best for many years to come. England's Luke Donald did the unthinkable in 2011 and finished as leading money winner on both the PGA and European Tours. Zipping back and forth across the Atlantic that year, he won three times in his home continent and twice in America. A narrow loss in a play-off to Brant Snedeker in The Heritage prevented him from balancing his trans-Atlantic title haul with three apiece. Donald's achievement should not be understated. Finishing first on either tour is hard enough. Topping both in the same year is the stuff of legends. Many of the game's top commentators have suggested that we'll probably never see it happening again, such is the freakishness of it. Donald is something of an old school golfer. 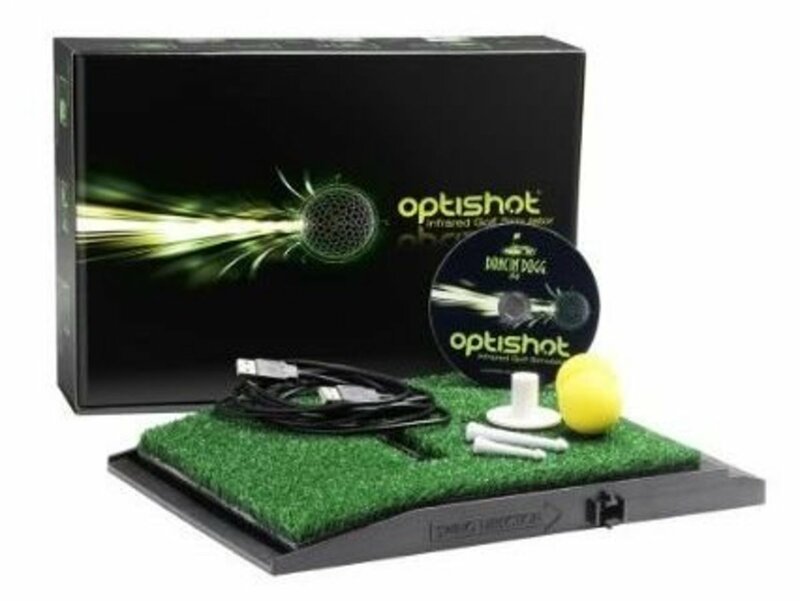 His lack of length from the tee is redeemed by an exquisite short game and uncanny feel for the greens. He moves the ball around the toughest courses with the same use of systematic maneuvering and risk analysis that a chess grandmaster employs to plot the downfall of his opponent. Donald is currently enjoying his fourth stint atop golf's world rankings, amassing 53 weeks on that coveted pedestal since he first arrived at the summit a year earlier. A lack of success in the major championships leaves him languishing at 14th on our list but at 34 years old, time is still on his side. Expect to see him in contention at a British or US Open in the near future. 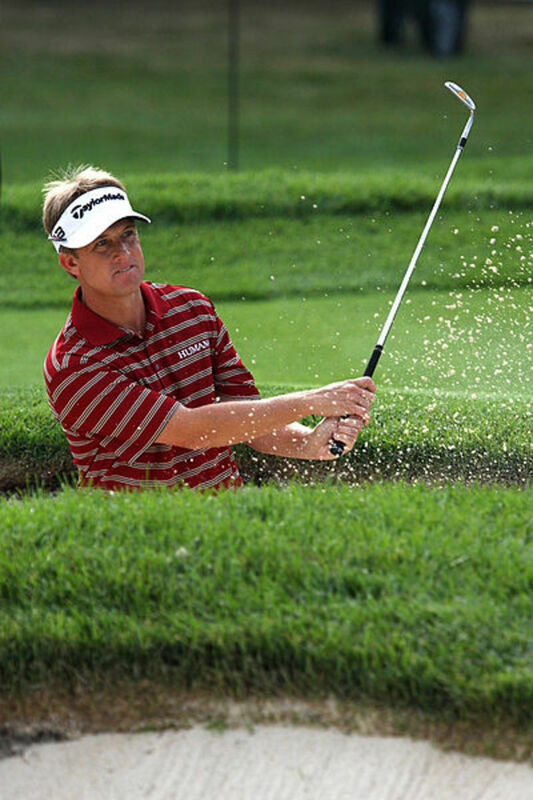 At number thirteen on our list is David Toms, a man who has achieved phenomenal success on the PGA Tour without ever really stamping his name on the pantheon of super stardom. That Toms isn't a household name outside of golfing families is slightly peculiar considering that he currently lies in 7th place on the PGA Tour all-time money list with almost $40m. If someone had asked you to name those Top 10 all-time money winners, would you have included Toms in your list? With 13 PGA titles to his name since 1997 including the 2001 PGA Championship and 2005 WGC Matchplay, Toms deserves his place among the 15 elite golfers of this generation. He might not hit the ball a hundred miles, dress in flamboyant clothing, possess a quirky name or unorthodox swing. Instead he lets his golf do the talking, grinding out millions of dollars and the occasional big tournament victory in the process. Toms has never risen higher than #5 in the world rankings which is probably a reflection of his rather average showing in major championships - his victory at the '01 PGA being the exception. Adam Scott is the best player to come out of Australia since the colossal Greg Norman went into semi-retirement. Scott is to Australia what Lee Westwood is to England and what Sergio Garcia is to Spain. In Norman, Faldo and Ballesteros, those three countries produced the three eminent golfers of the pre-Woods era. National expectations for the trio of young pretenders were always going to be high but it is perhaps Scott who has shouldered the greater burden of hope, given Australia's reputation for sporting excellence and the fact that Norman always seemed to lose his game in major championships when it mattered most. Scott has had a pretty good stab at filling Norman's shoes, winning consistently on both the US and European Tours since 2001. He has some very big wins to his name, most notably The Players Championship in 2004, the Tour Championship in 2006 and the WGC Bridgestone Invitational in 2011. He has regularly appeared in the top ten of the World Golf Rankings, climbing as high as third in 2007. Scott is yet to find much success in major championships. At one stage, it looked like he would break through at the 2011 Masters but like so many others, no sooner had he got his nose in front on the back nine on the final day, he promptly dropped back into the pack again. Scott is still in his early 30s, has a great swing and Steve Williams on his bag. Expect much more from him over the next decade. The elegantly named Davis Love III is one of golf's perennial players, having been a contender in PGA Tour events since the mid eighties. Although half of his 20 victories on the PGA Tour came before 1997, his success continued well into the Tiger era. Being the son of a respected golf professional and instructor, Love was introduced to the game early but also played competitive ice hockey in his younger days. After excelling on the college golf circuit, he turned professional in 1985 and secured his tour card the very same year. His proudest moment came in the 1997 PGA Championship at Winged Foot where his five shot victory over Justin Leonard earned him his first major victory. Prior to Winged Foot, many golf observers felt that Love was the best player in the world never to have won a major. Further majors have failed to follow since that solitary win in 1997 but Love currently stands at #6 on the all-time money list on the PGA Tour with over $41m. Love was one the last players to swap his old persimmon woods for the modern metal versions. He did so in 1997 and incredibly, was still one of the biggest hitters on tour before he made the switch. 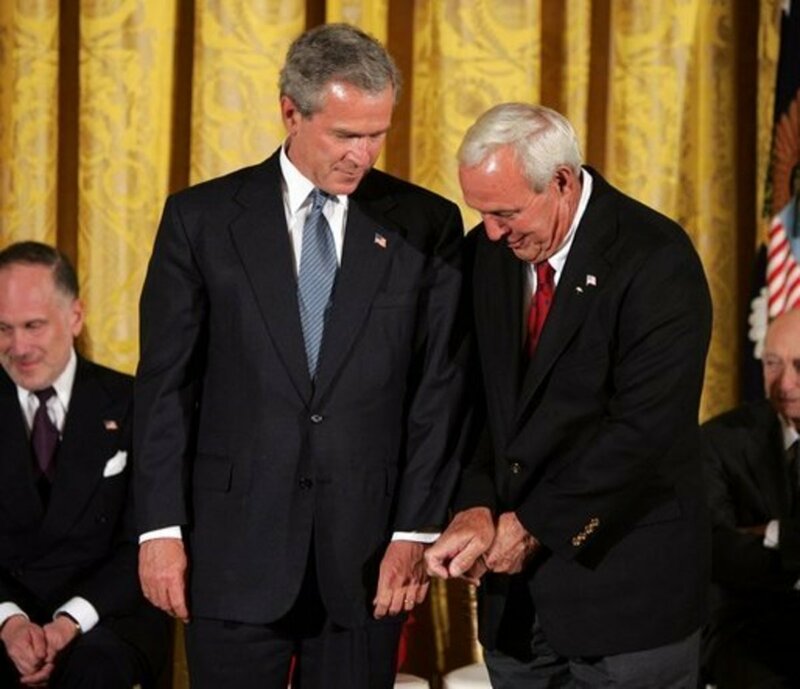 As Ryder Cup Captain, his name will feature prominently in 2012. 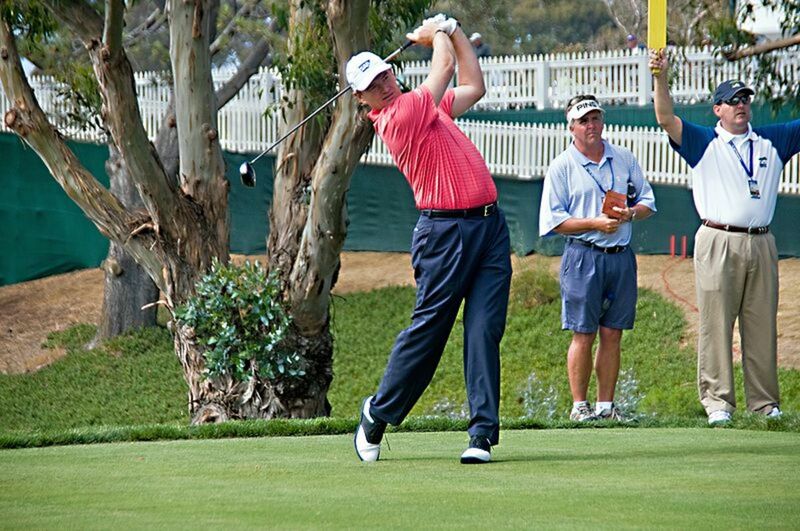 At his very best, David Duval struck the ball better than anyone in the world. Sadly, the only thing that exceeded his rise to the summit of golf was his even speedier exit. Cast your mind back to July 2001. A 29 year old Duval had just stormed to victory in the British Open Championship at Royal Lytham and St Annes. This was the climax of a remarkable four years in which he'd won 13 times on the PGA Tour, put together an enviable string of ten Top-10 finishes in 16 major championships, become only the third PGA Tour golfer to shoot a 59 and topped the world rankings. The stage was set for a great golfing rivalry with Woods and Garcia, a Watson-Player-Palmer for the 21st century. But it wasn't to be. Woods took off into the stratosphere and Garcia failed to live up to the huge expectations after his dual with Woods at the 1999 PGA Championship. And Duval sank into oblivion as injury and dwindling confidence took their toll. A naturally shy and reticent man with a graceful swing, Duval really shook up the golfing world during those days when he was the master of his game. As Lee Westwood approaches his 40th birthday, a sickening realization is starting to materialize: Is he another tragic example of a man who'll look back on his career with a nagging regret about the major championships that got away? With the exception of a few years in the wilderness after rebuilding his swing in 2001, Westwood has been a major figure in the Tiger Woods era of golf. With 21 European Tour victories to his name, and 14 Top-10 finishes in major championships (including seven times inside the top three) the only thing that prevents Westwood from climbing higher in this list is his lack of victories on the US Tour and that elusive major title. Westwood is probably the best driver of the ball in the game today. Unfortunately, he has never attained the consistency in his short game that is vital for success in the major championships. Men like Faldo and Woods went in for the kill when a major title came into the periphery of their vision. Westwood, in contrast, is often thwarted by missed putts, self-doubt, bad luck or displays of golfing brilliance from other competitors. Born into another era, with a blessing from lady luck and a feel for the greens, Westwood might have acquired three or four major titles for his golfing resume by this stage in his career. Whatever happens over the next few years, he can look back on one achievement with satisfaction. In 2010 he became the 13th man to reach the top of the world golf rankings and remained there for 22 weeks. It would be impossible to exclude a three-time major winner from this list. Pádraig Harrington has done just that, winning the 2007 and 2008 British Open and the 2008 PGA Championship. To put that into perspective, one glance at the current world rankings (July 2012) shows that only three players inside the top fifty - Tiger Woods, Phil Mickelson and Ernie Else - have won more than one major. The Irishman's success in golf is not limited to those three majors. Since winning the Spanish Open on his rookie season on the European Tour in 1996, he has gone on to claim a further ten tour victories. 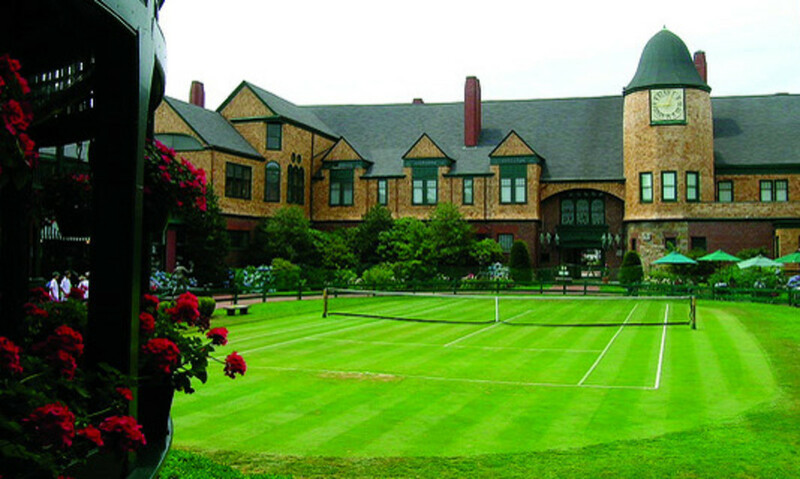 When he transferred his tour membership to the US in 2005, he picked up two titles in his very first season. 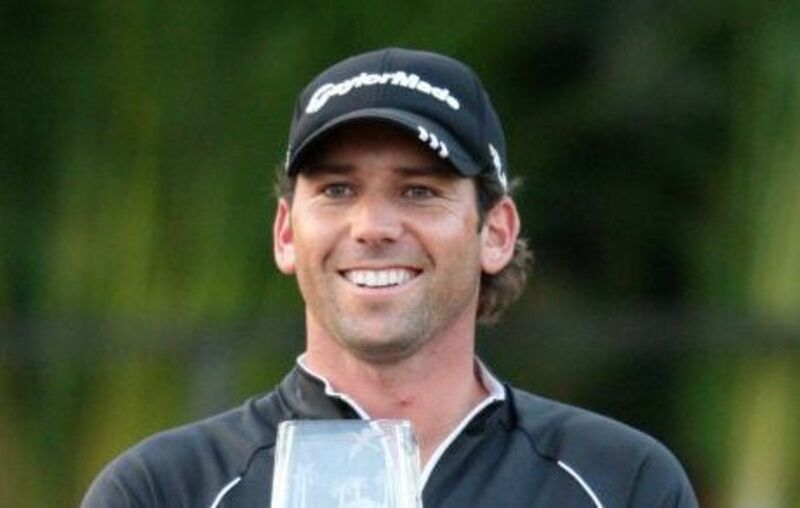 With big wins in American, Europe, South America and Asia, Harrington is obviously a player who travels well and knows how to adapt. Unsurprisingly, Harrington has been a lasting fixture in the top ten of golf's world rankings for the first decade of the 21st century. Now 40, he continues to compete at the highest level, shooting a stunning 61 (his lowest ever round on the PGA tour) in the 2012 Transitions Championship and finishing in a tie for 4th place at the US Open three months later. Clearly, Pádraig isn't done yet. But he has already done enough to secure his legacy as one of the best golfers of his generation. Jim Furyk might swing the club like he's trying to incorporate yoga with golf but that doesn't detract from his status as one of the best golfers in the world today. Watched in slow motion, the swing isn't actually as wacky as it seems although that giant loop traced from the arc of the backswing and downswing makes you wonder how Furyk has won so many titles. In fact, winning titles is something that Furyk has excelled at. With 16 PGA Tour wins to his name (14 in the Tiger era), including the 2003 US Open and 2010 Tour Championship, the 6ft 2in Pennsylvanian has a trophy cabinet brimming with silverware. Furyk is one of the most consistent performers on tour over the last 15 years with six Top 4 finishes on the PGA Tour money list since 1997. He has also been a mainstay in the world rankings, rarely departing from the top ten between 2000 and 2010 (reaching a high point of world number 2 in 2006). Think what you will of his swing. Jim Furyk earns a well deserved 7th position in this list. The much heralded successor to Seve's throne as King of European golf, Garcia has become one of the most recognizable players in the world over the last 13 years without quite living up to the enormous expectations heaped upon him after the explosive start to his career. After turning professional in 1999, Garcia won the Irish Open in only his sixth pro tournament. He quickly followed that up a few months later with victory at the German Masters. But it was his 2nd place at the 1999 US PGA Championship where he really announced his arrival on the world stage, pushing Tiger Woods to the wire and pulling off one of golf's great shots in a major championship. For many, the '99 PGA is equally as memorable for Garcia's exploits as it is for Woods' win. The decade that followed produced an abundance of tour titles for Garcia, in America and Europe, yet that promised major has yet to find him. Inconsistency has plagued his career more than any other golfer in our top 15. Some, like Davis Love, Ernie Else and Vijay Singh reached their peak and remained there for years before waning naturally under the shackles of advancing years. Others, like David Duval, burnt like a star before disappearing into a black hole whilst still in their prime. Garcia has yo-yo'd in and out of the world top ten since 1999, never sinking too far but never making a sustained run at the number one spot either (he did briefly reach world number two in 2008). His form in major championships has also been irregular. He either seems to shoot himself right into contention (and inevitably shoot himself out again) or miss the cut completely. As a rule of thumb: if Garcia makes the cut in a major, you'll probably see him near the top of the leaderboard at some stage over the weekend. The fiery Spaniard is still young and could conceivably win a handful of major championships. Ben Hogan didn't win the first of his nine majors until he was 34. Phil Mickelson was 33, Padraig Harrington 35, Vijay Singh also 35. Sometimes Garcia cuts a dejected and angry figure on the course, like he is fighting a war rather than playing golf. If he could just summon a little joy and satisfaction, to go with the passion, we will almost certainly see him move from nearly-man to major champion. He is almost too talented to avoid that calling. 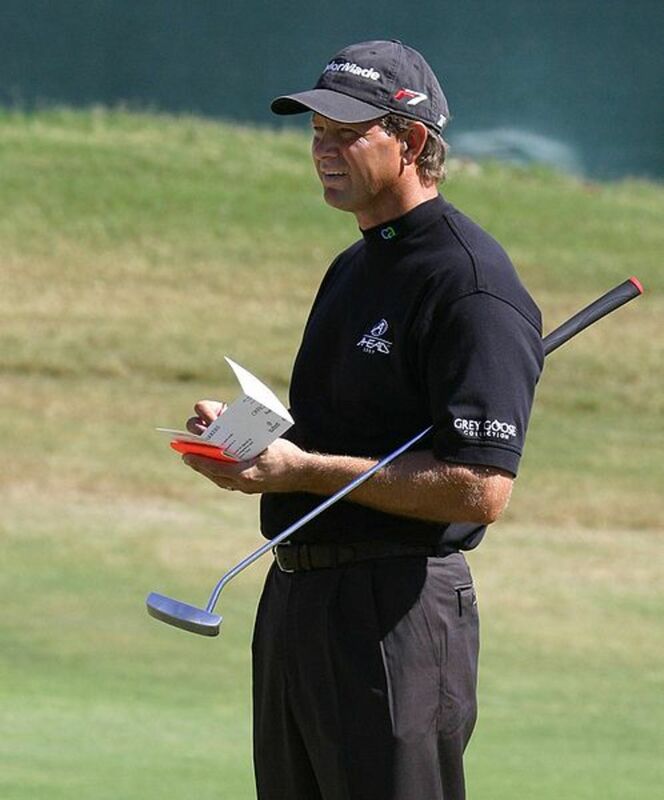 The first of two South Africans in our top five, Retief Goosen played in the shadow of his compatriot, Ernie Els, until 2001, when he won the US Open at Southern Hills. During that tournament, Goosen almost became the Doug Sanders of the 21st century when he missed a tiny putt to win outright on the 18th green. He returned the next day and showed tremendous nerve to beat Mark Brooks in an 18 hole play-off. 2001 also marked Goosen's first appearance in the world top ten and he would clock up 250 weeks in this privileged realm before his form dipped in 2007. 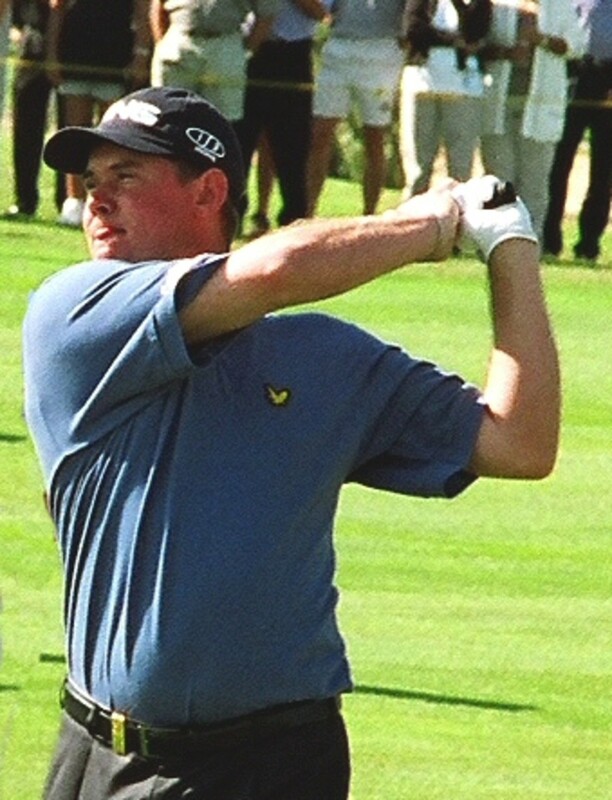 In the interim, he was twice leading money winner on the European Tour and also picked up a second US Open in 2004 at Shinnecock Hills. The calm-headed and amiable South African has chalked up victories across the world, winning numerous times on the US Tour, European Tour, Asian Tour and Sunshine Tour. But if raising your game for the biggest tournaments is a sign of true greatness then Goosen deserves his place on this list by virtue of his major performances. 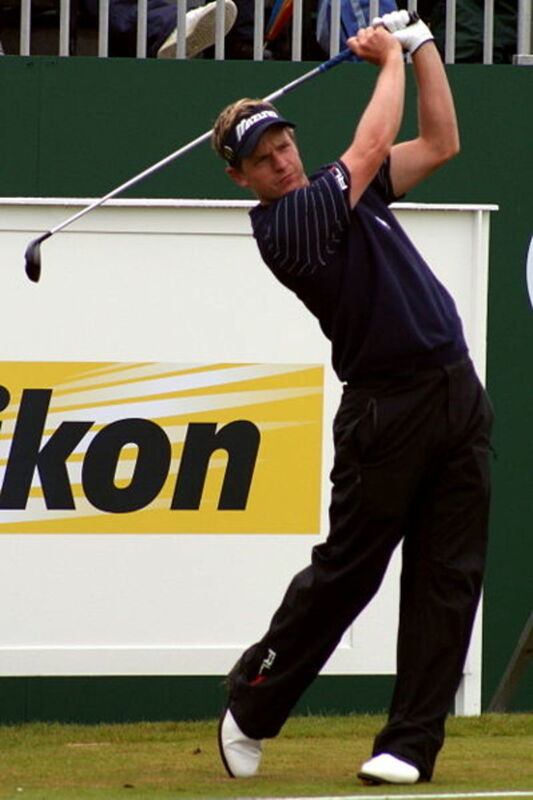 With two victories and a further ten Top-10 finishes in major tournaments between 1999 and 2007, Goosen was one of the leading big-tournament players during those years. In the world of golf, Ernie Els has almost done it all. Three major titles; two WGC titles; 18 US PGA Tour titles; 26 European Tour titles; a brief stint as world number one; victories around the globe; 31 top-10 finishes in major tournaments. 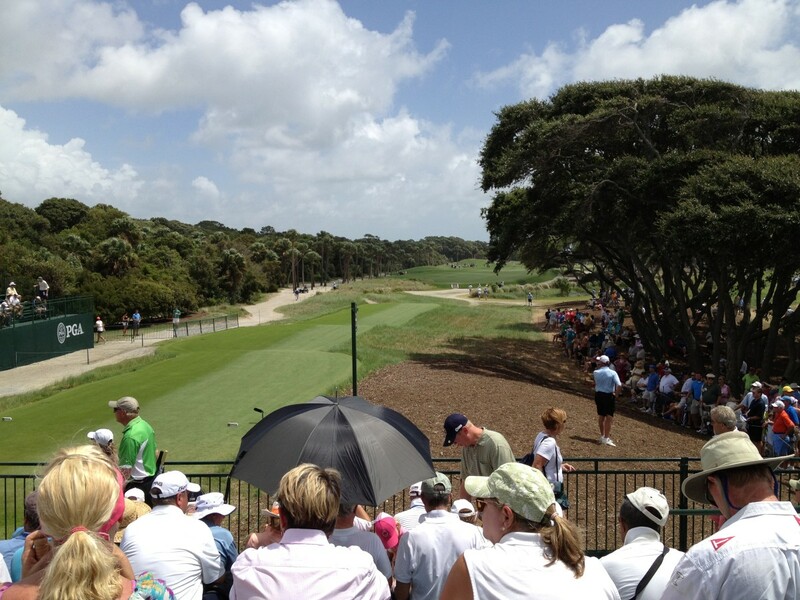 When we get to this spot in our analysis of the best golfers of a generation, it starts getting very close indeed. Granted, some of his success happened before the Tiger Woods era. But with the notable exception of the 1994 US Open, the majority of Els' biggest achievements in golf have come during Tiger's finest years. Nicknamed The Big Easy due to his burly 6ft 3in stature and gloriously relaxed swing, Els is a golfer who plays by feel rather than mechanics. In this sense, he may well be a dying breed in a world inhabited by video technology, swing doctors and practice aids. Watching a clip of his swing on TV or Youtube, you don't have to be an expert to see why he's accomplished so much in the game. Like the golfers at #3 and #2 on our list, Els is now in his forties but some encouraging results in 2012, including a ninth place finish at the US Open, suggest that he isn't finished yet. You'd need to have a heart of stone to begrudge Ernie another major. 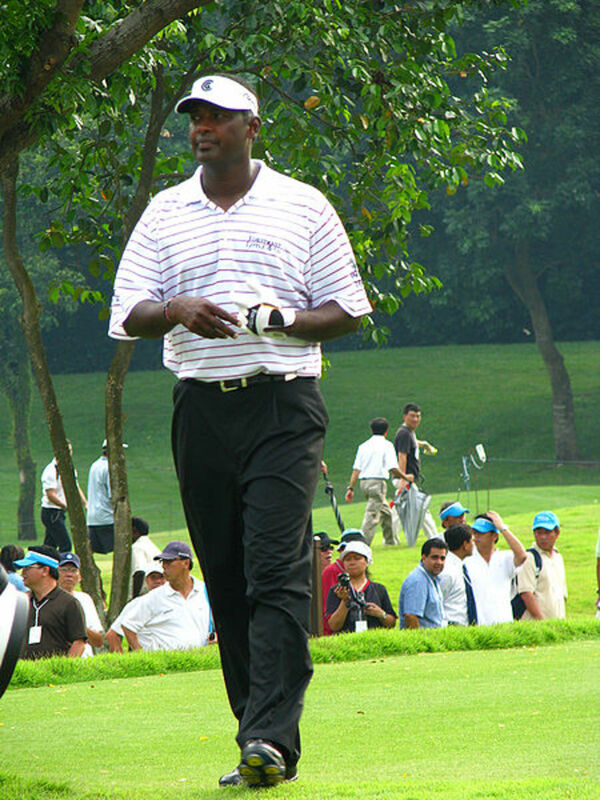 Vijay Singh, boasts possibly the most impressive record in golf today, after Woods himself. Winner of three majors, 34 US Tour titles (31 of which came during the Tiger era); second highest all-time PGA money winner (as of July 2012); numerous European Tour victories; 32 weeks at world number one; victories across the world; 22 top ten finishes in major tournaments. The Big Fijian has every right to be proud of his career. Even the mighty Greg Norman retired with less majors and PGA victories. Perhaps the most remarkable thing about Singh is that he achieved the majority of his success in the latter third of his career. He should serve as an Inspiration to any major-less thirty-something who feels that time is slipping away (take note, Lee Westwood): You really can enjoy the most fruitful years of your career in your 40s. Singh will certainly be remembered as one of the best golfers of the Tiger Woods era. Will he be thought of as one of the greatest players of all time? An extra major or two would undoubtedly have helped but that shouldn't diminish from his remarkable exploits over the last 20 years. As he approaches 50, he continues to challenge at the highest level. If he decides to migrate to the Champions Tour then further success is almost guaranteed. Considering his reputation as one of the nicest guys on tour, who would wish against it? Phil Mickelson is not only a major player in golf today; he is also among the all-time greats. With 40 wins on the US PGA Tour and four major titles to his name, nobody should be in any doubt as to Mickelson's position among the legends of the game. 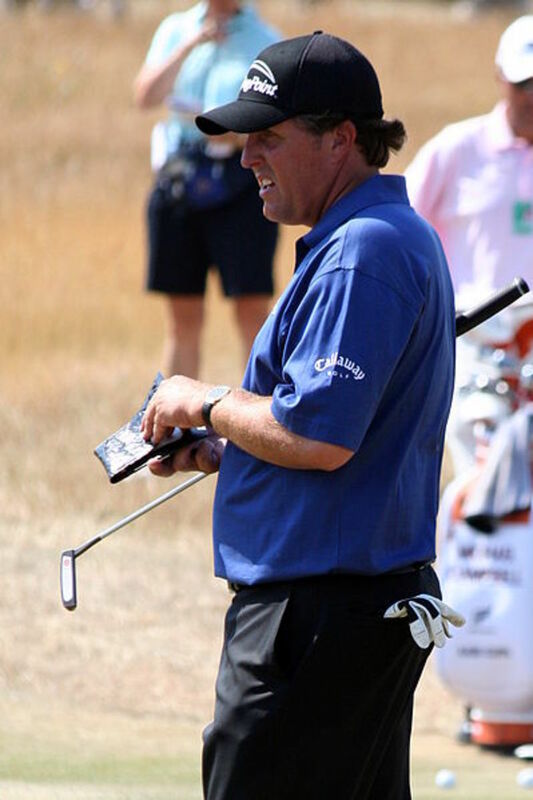 One of Lefty's most endearing traits is that he plays his golf with a huge grin plastered from cheek to cheek. He really looks like he's enjoying it out there, usually in stark contrast to someone like Tiger Woods or Sergio Garcia who often beat their way around the course in a grimace of droopy-lipped petulance when they are striking the ball with anything less than ultimate precision. Talking of ultimate precision, Mickelson has long been one of golf's greatest shot-makers. Who will ever forget his 6-iron from the pine on the 13th at Augusta, on his way to a third green jacket in 2010? And his creativity around the greens, especially with his trademark lob wedge in hand, will be remembered alongside Seve Ballesteros' recovery shots, Ben Crenshaw's putting, Ben Hogan's ball striking, and Tiger's mental game. Mickelson is a practitioner of that swashbuckling mode of golf, where no shot is unplayable no matter how badly the ball lies or how many obstacles block the path. Of today's best players, Mickelson lies second to Woods in the number of victories in major championships (4) and PGA Tour titles (40). He currently sits in third place on the all-time PGA Tour money list, only a few thousand dollars behind Vijay Singh. But Lefty is seven years younger than Singh and will undoubtedly move into second place in the near future. Surprisingly, Mickelson has never reached the top of the world rankings but the absence of that accolade is unlikely to haunt him when his career is over. We don't need to talk too much about this man other than to ask "how much longer will the Tiger era last?" Some say it has already finished, ending in 2008 when injuries became a problem, or 2009 when he crashed his SUV into a fire hydrant. But the aura of Tiger is so strong that he remained golf's most popular player during even his darkest days. Now that the clouds have seemingly parted, and the new swing is starting to yield consistency and results, Woods has returned to the top ten of the world rankings, following three victories in 2012. So is the Tiger era finally over or simply lying dormant during a brief interlude before he rises once again to shoot down Jack Nicklaus' record of 18 major titles? But that's another question for another day. This article was about the 14 other great players of the generation who pushed him all the way. Who do you think are the 15 best golfers of the Tiger Woods era? Presumably the number one spot needs little debate, but perhaps you have your own list to share? 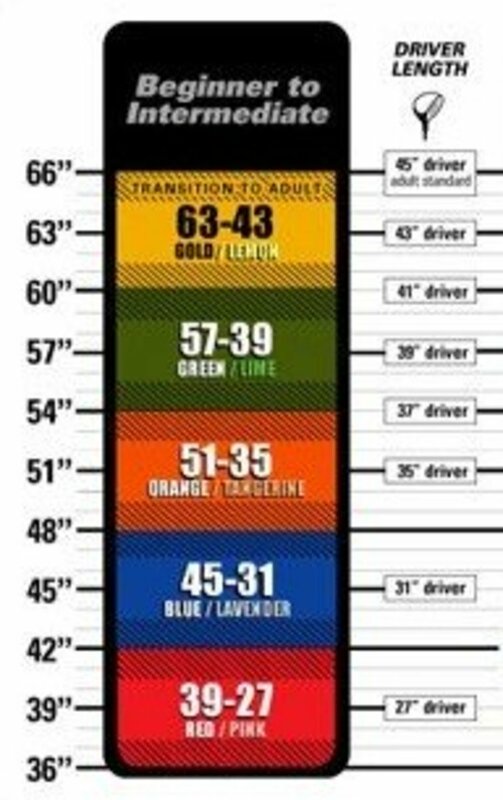 Els should be higher? Garcia lower? Colin Montgomerie should be in? Donald out? Love higher? Duval lower? Please share your own list or opinions in the comments section below. Colin Montgomerie - Outspoken and opinionated Scotsman who dominated golf on one side of the Atlantic while ruffling feathers and dodging titles on the other side. Love him or loath him, Monty mixed with the very best on his day and finished second in five major championships. If this was a top 15 for the 1990s, Montgomerie would probably have made it to the weekend. Mike Weir - Best golfer to come out of Canada and one of the biggest names on the US Tour since 2000. Career peak was his 2003 Masters victory and he probably sensed that more majors were in the offing, but it wasn't to be. Now 42, his best years are likely behind him. Angel Cabrera - Amiable big-hitting Argentinian who won the 2007 US Open and 2009 Masters. Only three other victories on the major tours means that he just misses the cut in our list. Steve Stricker - PGA Tour professional who has amassed 12 tour titles and currently sits at number eight on the all-time money list. Justin Leonard - Texan professional: winner of the 1997 British Open with three second place finishes in major tournaments and 12 tour titles to his name. Hi Ed, thanks for your comment. I perhaps wrote this article a year too soon (July 2012) because, looking back, I think we can now deem 2013 as the end of the Tiger era. I don't think enough happened in late 2012 and throughout the 2013 season to make much difference to this list though. A few things to consider: Rory had a quiet year in 2013 but won the 2012 PGA Championship by 8 shots so he probably moves up a few places. Mickelson won his fifth major but he's already at #2 and can't go higher. Ernie Els' 2012 British Open victory a couple of weeks after this article was published means he possibly leapfrogs Vijay into third position. Adam Scott's 2013 Masters victory definitely moves him up a place or two. And Justin Rose suddenly comes into contention after his US Open victory although he probably just misses out on top 15. So in conclusion, if I'd written this article at the end of 2013, there's not a great deal that i'd change. I guess this is 'time dependent' material. Given a few years to percolate, some of the choices would be different today. Jason Day, Jordan Spieth, and a few others might have a place in this list. 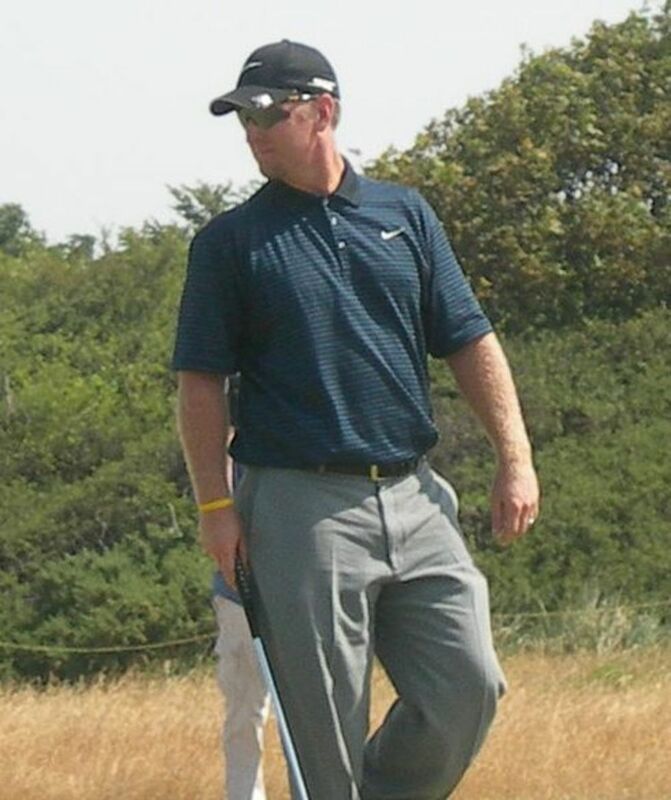 David Duval? Who dat? 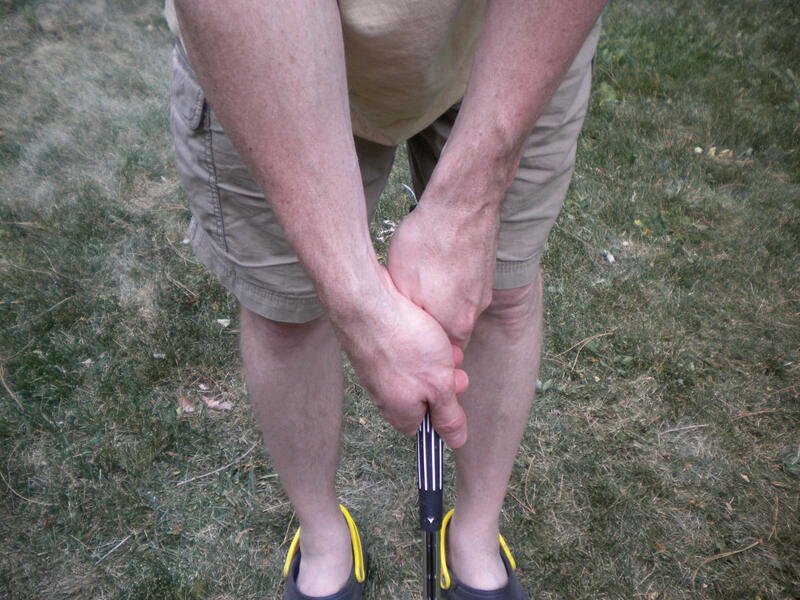 Golf is a fickle game, and very cruel. People get hot and fade away, even Tiger. Maybe a better list would be 'Extremely Hot Golfers Who Simply Faded Away'. That would be a long list. 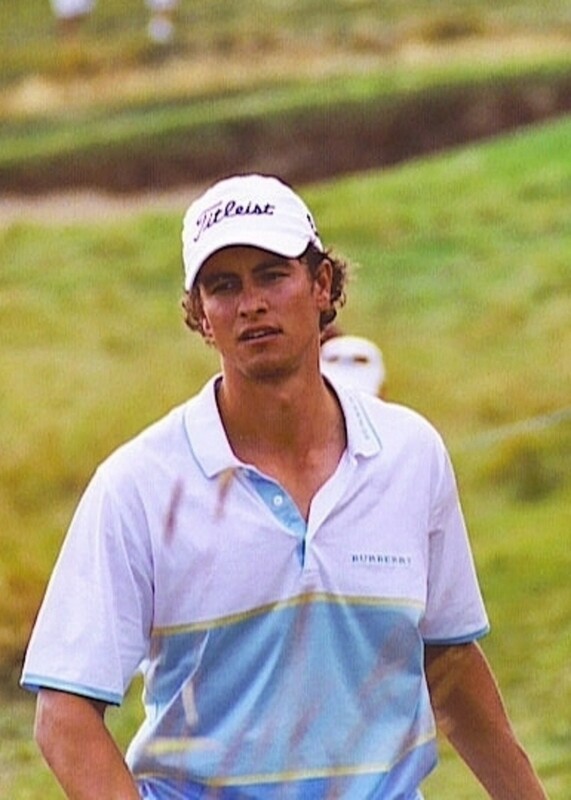 Or 'Extremely Hot Golfers Who Never Faded Away' but that would be a short list. And by making this about Tiger Woods, should we not include the discussions of performance enhancing substances? If it were the Olympics, they'd ask for the prize money back. Hi lions44, thank you for your comment. You make some excellent points and I always knew there would be disagreements. Ranking the best players in any sport is always a subjective exercise. 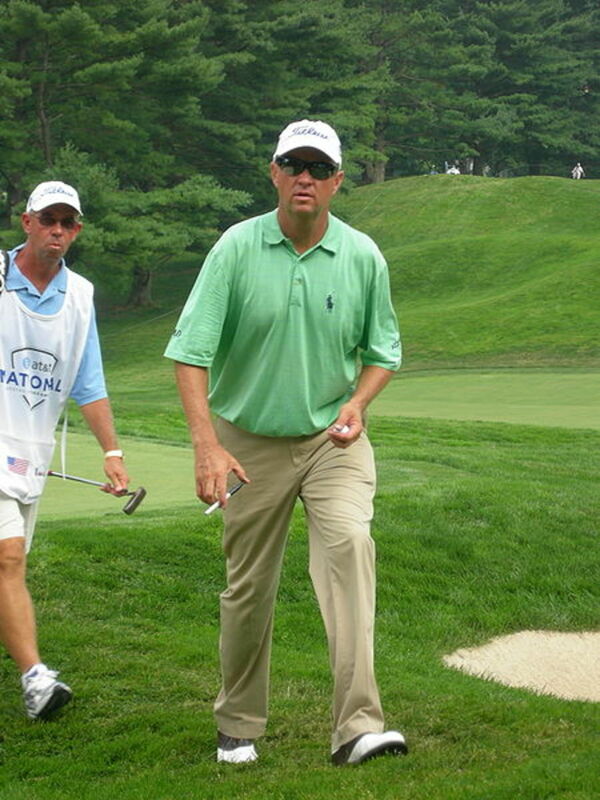 Davis Love III - He definitely hasn't lived up to expectation/potential. When he won the PGA Championship in 1997, I thought he would go on to bag two or three more majors before his playing days were over. Still, he's had a fantastic career and I think he deserves inclusion in this list although #11 may be a little high. David Duval - You're right that his best days were short-lived. But between 1998 and 2000 he attained a level of brilliance that only Tiger Woods and possibly Rory McIlroy have exceeded in the modern era. With the addition of his major win at the 2001 Open, I think he just about does enough to make this list although I concede that #10 is perhaps a tad too high. Lee Westwood - With the exception of a couple of barren years between 2002-2004, he has been among the elite in every year since Tiger first turned pro. He has numerous victories all over the world and has done just about everything you can do in a major championship without winning one. With the exception of Sergio Garcia, he's probably the best player of the 21st century who hasn't won a major. I stand by his #9 ranking in this article. 1. Davis Love -Never lived up to expectations because of his bad back. Most of his money comes from a lot of tourneys that no one cared about (and to be fair, a lot of top 15 finishes too). 2. 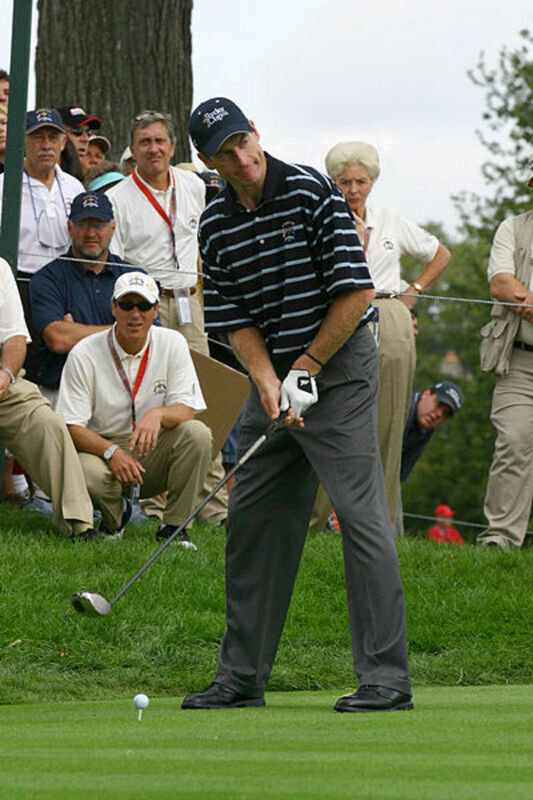 David Duval - Did not hang around long enough to be considered a top golfer in the TW era. He was a powerhouse for about 2 years until personal issues forced him from the game. 3. Lee Westwood - No majors. Lots of European victories when he probably was not even competing against Tiger. I would not even put him in my Top 20.